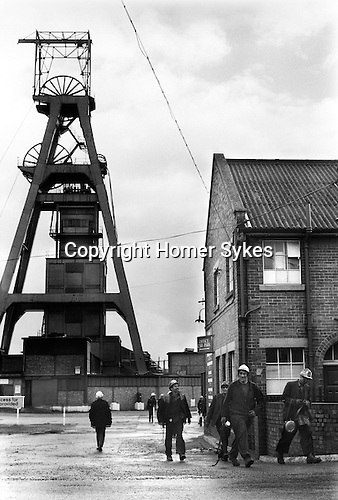 The Snowdown Colliery pithead gear, miners some with their lamps still on make their way to the lamp room where they dropped off their 'pit checks' and recharged their lamps. There was a great feeling of camaraderie amongst the men. They were miners first and then their specific trade, never the other way around.